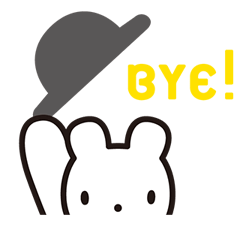 http://www.line-stickers.com/ – Okaimonokuma Line Sticker | Okaimonokuma is on LINE stickers with a set of never-before-seen expressions! These Okaimonokuma stickers feature classic greetings and other must-have phrases!The popular Okaimonokuma stickers are back in the long-awaited third sticker set! Make 2015 a great year for shopping! Friend Sogo & Seibuʹs official account to get them. Available till March 19, 2015. Copyright : © Sogo & Seibu Co.,Ltd.